Want to attend a course at Orchard Barn or get involved as a volunteer? Got access needs? At Orchard Barn we've constructed facilities that are accessible to all. 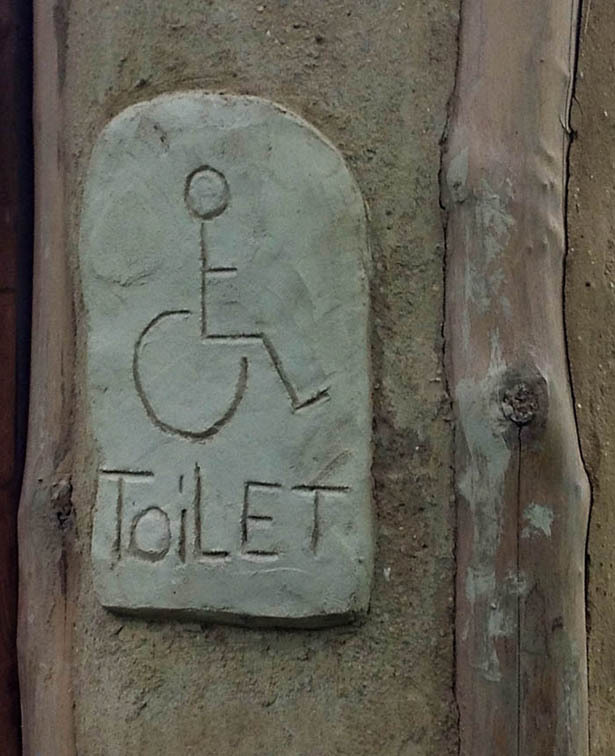 From the paved parking bay you'll find an individually crafted boardwalk that provides wheelchair access to the toilets. The boardwalk also joins up with a brick path into the main workshop and teaching areas. In true Orchard Barn style it is volunteers and trainees who undertake these building projects (usually under the professional eye of a local craftsperson). There is an abundance of practical and communication skills development when construction is undertaken this way. Yes, it's slower but the benefits are so much broader. We've designed our environmental education centre using easily accessible natural materials from the local landscape - so our carbon footprint is very small. Volunteers are currently working on making the raised beds in the vegetable garden fully accessible by making the paths wider, and the beds narrower.